Customer retention management sounds very complex and complicated but to be honest it’s very straight forward. In this post, I am listing 3 very common mistakes that are detrimental to a business but luckily can be easily fixed. 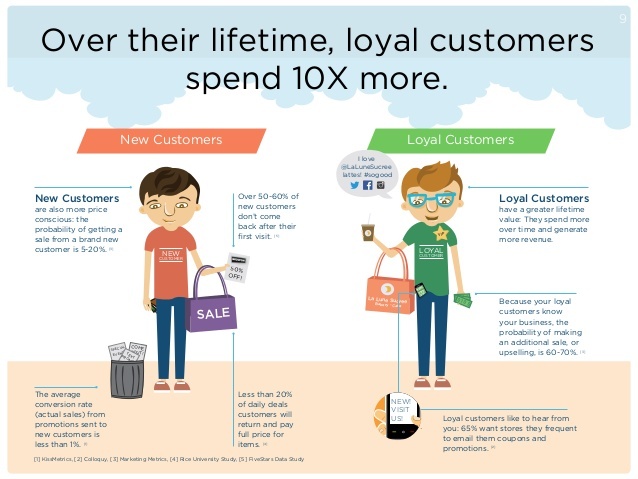 What would your business be without your loyal customer base? Most likely, you would struggle to succeed. So why is it that so many companies ignore the needs and wishes of their most reliable customers? It is because of what loyal stands for – faithful to you no matter what. Even though you might think they will always be there, I can guarantee you they won't if they’re not getting the attention that they deserve. And once they are gone, it is almost impossible to win them back. Therefore, create exclusive offers or events and surprise them with a special Thank You occasionally. It will make a significant difference to them and your business. To be able to have a strong customer retention, you need to build a good customer relationship with your clients. This involves knowing when important things happen in their lives. Sending out birthday cards or emails is the obvious one but also try to contact your customer when you reach an important milestone with them. This could be a one-year anniversary of using your services or purchasing for the 100th time in your store. Try to create dedicated events that you can use to contact your client offering them something special for their loyalty. Much has been said and written about the fact that it is way more expensive to acquire a new customer then to keep the existing one. Nevertheless, it seems that businesses are still primarily focused on getting new customers in. Focusing too much on acquisition means that long lasting customer relationships are not built and therefore a high turnover of customers is created. In my opinion, this is a very fragile business model. Why not spend a bit more on your existing client base to save money in the long run?